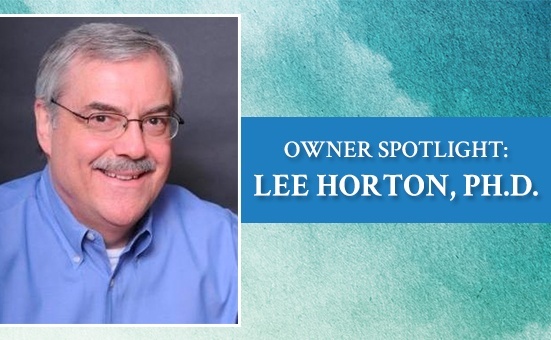 Owner Spotlight: Lee Horton, Ph.D.
I’m Lee Horton, a counseling psychologist in Memphis, TN. My undergraduate studies introduced me to how people’s relationships affected them. Traditional psychological studies focused on the individual’s personality, but my studies helped me to understand that we crave connection with family, friends, and community. I received my Master’s degree from Auburn in Marriage and Family Therapy and my Doctorate from the University of Southern Mississippi in Counseling Psychology. I then became committed to learning how to help clients achieve their best for themselves and their relationships. Since receiving my Doctorate in 1985, I have worked in private practice to help individuals, couples and families to overcome their obstacles to connection and happiness. Over the past couple of years, I have noticed that while techniques of therapy have changed, the importance of the connection you have with your therapist is the most important variable in the therapy’s success. I encourage my clients to offer feedback on our relationship both to give me insight as to what is or is not helpful and to show my clients that a healthy relationship includes the ability to accept feedback. My philosophy is that everyone has the ability to change their behavior, thinking, and the future. This is something I firmly believe in, and what possibly sets me apart from other counseling psychologists. I enjoy seeing individuals and relationships move from troubling and painful to finding a path of connection and joy. When you experience a relationship that offers acceptance and encouragement, you will find that the mountain you are climbing becomes more manageable. My most satisfying moments come when my clients end therapy with the knowledge that they will continue making progress without having to depend on me. They have learned to trust their own instincts and have a sense of direction that comes from their belief in themselves. On a more personal note, something that has been a thorn in the side of therapy for years now is the negative connotation that is attached to therapy. I believe that many who could profit from therapy hold back because of the stigma that says people in therapy must have a mental illness. I would like my clients and everyone else to understand that therapy is for personal growth, not healing an illness. When I am not at work, I enjoy playing sports, exercising, reading, and watching movies preferably in the company of friends and family. If you or someone you know could benefit from my expertise in psychological counseling across Memphis, Germantown, Southaven, Lakeland, Olive Branch, and the surrounding areas, I invite you to get in touch. Please visit my website at www.counselinginmemphis.com. What Is Different About Being Fifty? Busted! Don't Believe These Psychological Counseling Myths! Season’s Greetings from Lee Horton, Ph.D. Copyright © 2019 - Lee Horton, Ph.D.